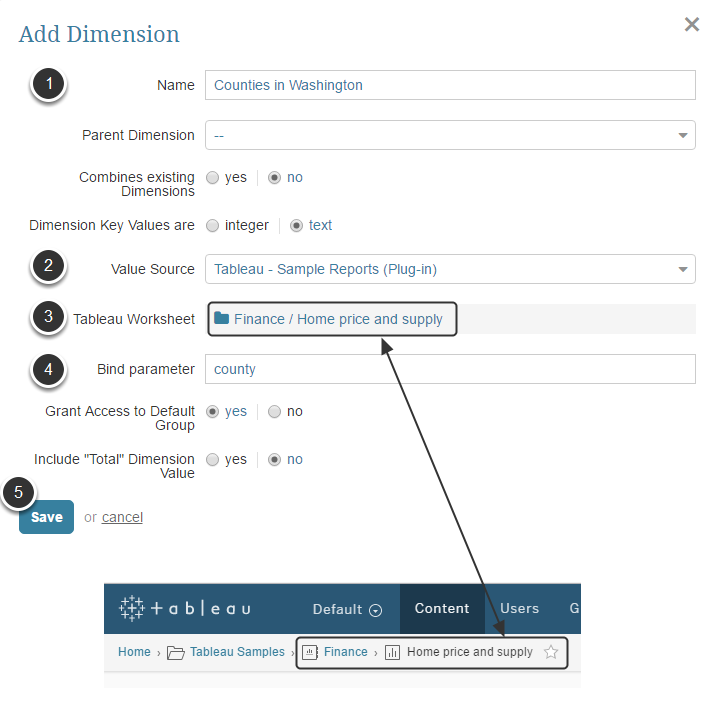 If your Tableau report contains information for several Dimensions, you do not need to create a separate element for each Tableau Dimension in Metric Insights. All you need to do is just copy Tableau Dimensions into MI. 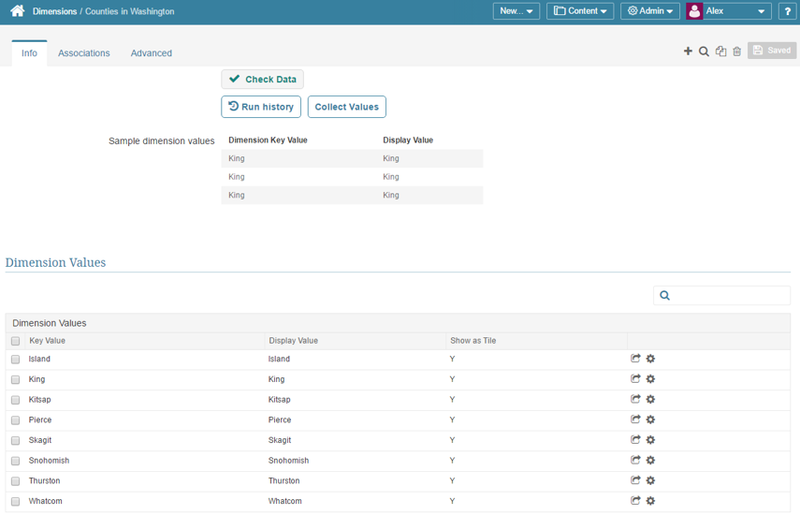 This article covers step-by-step instructions on fetching this data from Tableau. NOTE: If a new dimension is added to this Tableau report later, it will be automatically copied to MI upon triggered data collection. The list with all dimensions created in the system opens. Value Source: Specify how Dimension Values will be collected for the new Dimension. 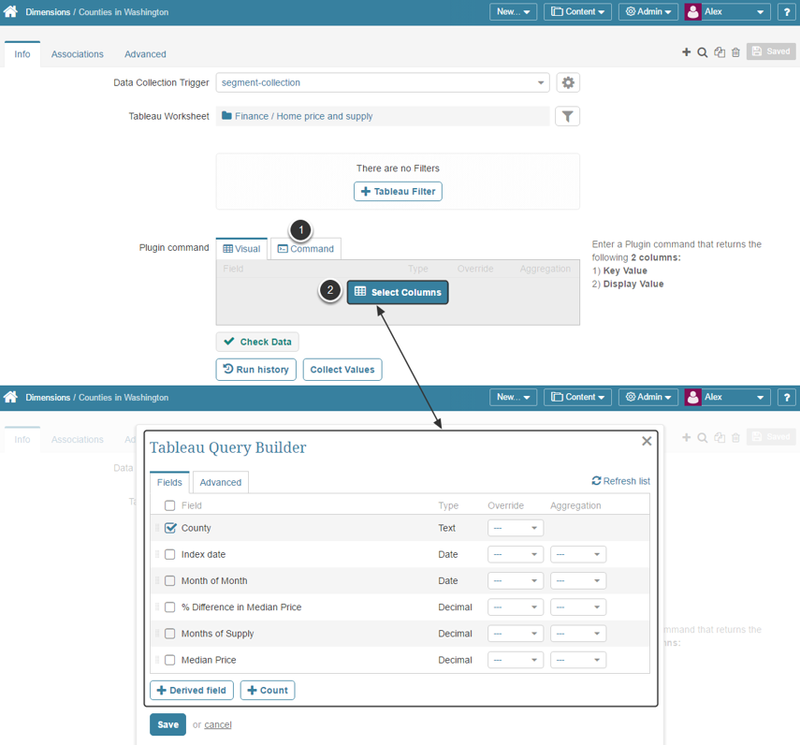 In this example, we are selecting the 'Tableau' plugin where we have update the list of available Reports. This connection profile will help us to extract the needed values from Tableau.